I've made my plans for next Saturday! 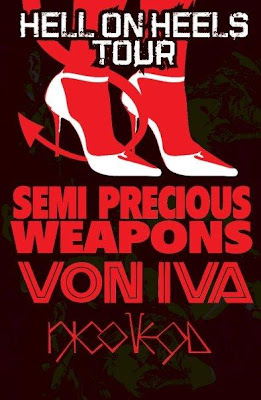 I'm off to catch Von Iva, Nico Vega and the reason I'm going to the show, one of my faves, the ever so delicious Semi Precious Weapons. This is all taking place down at the Highline Ballroom.